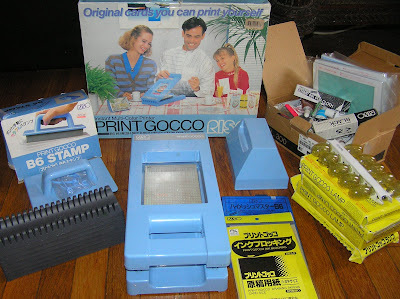 I just purchased this print Gocco printing kit i have wanted one for a while they are so neat! I cant wait to us it. my name is aqmal, n im from malaysia. im vry intrstd wif the gocco printer, but i cannot find any here in my country. how much doest it cost for a kit like dat? and where cn i buy one? n owh ya, love ur kittens. i got 6 at home myself! You Can try Ebay thats were I found Mine:) Gocco is Great!